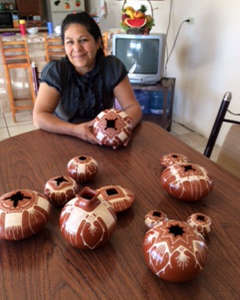 Avelina Corona de Amaya is a potter from Mata Ortiz. She seems to produce primarily seedpots, flying saucers and tall neck jars and vases with sgraffito and painted designs. Her husband, Angel Amaya, often collaborates with her. 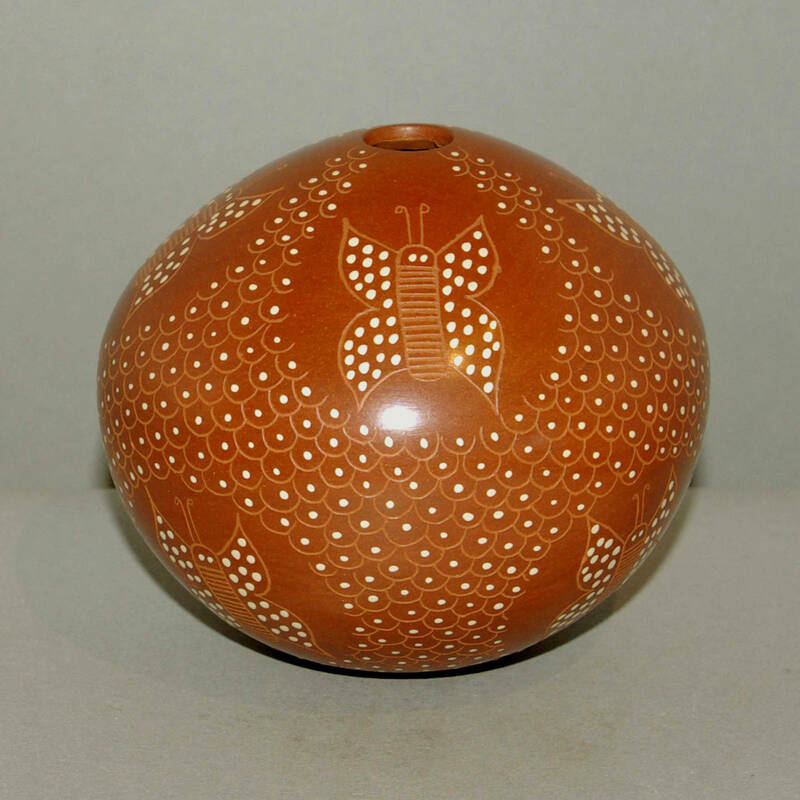 Their pieces are usually made of a specially mixed red clay and decorated with a specially made white paint.